Not the Mall is a new South African online store where you can browse for gifts, decor, homeware, luxe gadgets and stylish designer gear by famous brands from the comfort of your own home. It’s the sister site to the very popular Wedding Gift List and plays host to a number of top notch brands including Bormioli, Built and Kichenaid. Use it to sort out all your gifting, to surprise someone special with that equally special something arriving on their doorstep and of course, to spoil yourself. I spotted some gorgeous Eva Solo items, am so pleased to see the fabulous local brand Mustarseed and Moonshine and love that i can buy Built online – i love their wine sleeves – such a great gift for a guy or a sociable couple. If you’d like to win a mystery hamper worth R500 featuring three fab products from Not the Mall….all you need to do is leave a comment below about a product that catches your eye on their site and for an extra entry LIKE their Facebook page here and leave a comment saying you heard about Not The Mall here. How fab is that orange squeezer, it even measures the correct quantity. It so beats my mom’s vintage plastic one from 19-can’t-remember. There are some items you just have to upgrade to. Great website, I cant wait to start shopping. I particularly love their wine cooler http://www.weddinggiftlist.co.za/not-the-mall-catalogue.php?theCat=23 an elegant way to keep your vino chilled! Those are so elegant and stylish. 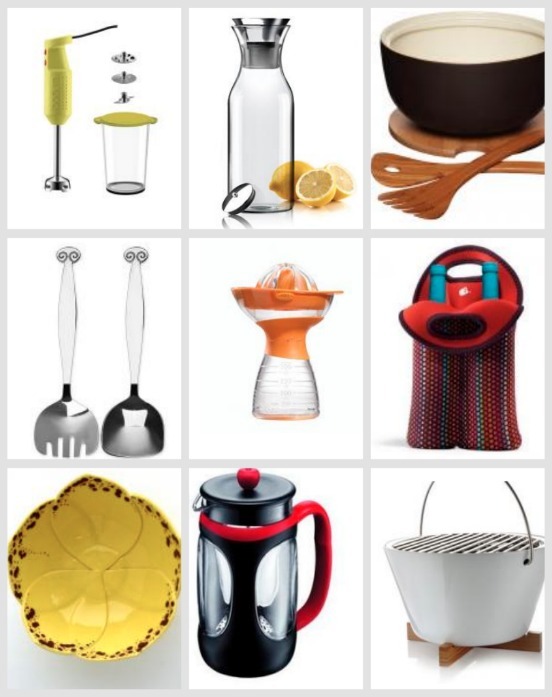 Loving loving loving the Fridge Carafe by Eva Solo..yes please! Loving the gourmet getaway bag! Love this site! Great for buying gifts. I like the Bushnell binoculars – have been looking for a good pair for a while now – too bad that is the budget for my Hunter wellies! also love their bedlinen and WANT their faux fur throw! Have been toying with the idea of transforming my bedroom into a ‘cabin in the woods’-haven for wintertime! And it’s machine washable too – divine! Man, they even have a balloon safari for sale! I want Le’Xpress Whistling Kettle – ‘Seashell Cream’!!!! Love the MENYEZELA Bowl – Triangular Prismo Ostriches – Ivory, and the bird feeders! Mmm, winter on its way…. A Chambord Coffee Maker to start the day with! Would love to get hold of the Joseph Joseph Bread Bin (White) ! would love to get a Le’Xpress Whistling Kettle, how cool is that. Love love love the reclaimed wooden picture frames! Few small pieces like: PEPPERBALL, EZ SQUEEZE ONE HANDED CAN OPENER, Bodega Jug 1.5L and would make me very happy. I would love to get the blow torch. Great site, i love the Java Collection Ceramic Oil and Vinegar Set with a Bamboo Wood Stand, and the matching canisters too!! I have also liked their FB page… thanks! Love the Chambord Coffee maker. I have also liked Not the Mall facebook page and left a comment there that I was reffered by http://www.iwantthat.co.za. The Java Collection Pie Dish caught my eye, I love baking. The Java Collection Ceramic Serving Bowl with Lid and Bamboo Salad Servers 24cm is what caught my eye. The Weber Meat Thermometer took my fancy, always handy to have. I quite fancy the Self Watering Flowerpot (dark grey), would look great on my patio. Lovely stuff! What really caught my eye is the Super Compact Vacuum Cleaner (1700W) – so small and manageable. What caught my eye is the Java Collection Ceramic Serving Bowl with Lid and Bamboo Salad Servers 24cm, thankyou, lovely range. Very hand to have – the Oliver board – 47x20cm. 1.5kg is what caught my eye. At the moment I REALLY need a pie dish, and can’t find one anywhere that I like – so the Java Collection Large Pie Dish 26cm is most definitely what caught my eye. The Java Collection Ceramic Serving Bowl with Lid and Bamboo Salad Servers 24cm caught my eye first, I could do with one of those. The Classic Collection Ceramic 29cm Cake Stand with Domed Glass Lid took my fancy. The 5 piece pasta set, caught my eye, for sure. I have just squeezed twenty oranges by hand to make orange juice, so an orange squeezer is top of mind and this one looks functional and gorgeous. I’m lusting after a set of Global chef knives, completely inspired by Master Chef at the moment. And the new Bosch Fully automatic coffee machine mmmmm yes please. So many lovely things! I particularly like the round bird feeders. I like the black g rabbit pepper grinder it is so cute! Love the serving bowl with the serving spoons. Awesome! Oooooh I absolutely love the Siberia faux fur throw – Silver grey!! So gorgeous and perfect for the upcoming winter! I love the Le’Xpress Whistling Kettle. I’ve always wanted one. Reminds me of my childhood. There’s nothing like that sound! I would love the Powerful Kitchen Machine – I need a food processor!! Nice to find out about this!